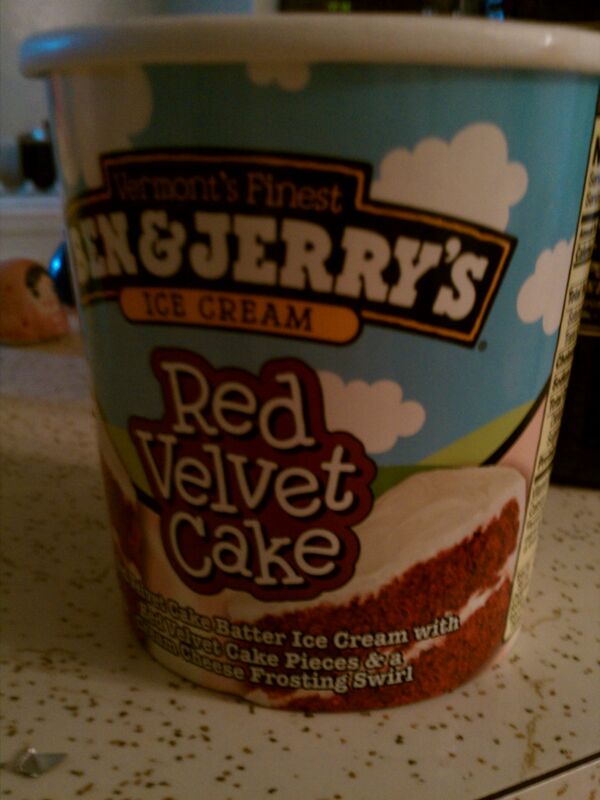 You’re new flavor, “Red Velvet Cake”, should be called, “Red Velvet Fake-you into thinking it’s something else”. This tasted so bad I could hardly finish eating the pint. It tasted more like strawberry flavored ice cream with vanilla icing mixed in =yuck! I opened up this pink mess (the ice cream) hoping to fill up the emptiness inside (like we all do-shut up) It filled me up alright, filled me with regret for not buying Chubby Hubby. I guess what pisses me off the most is knowing that I gave you an impeccable ice cream flavor and you ignored it, for what? This? I know there might be trademark concerns involving my Cadbury cream egg ice cream but couldn’t you just call it Scrambled Sugar Egg Fantasy, Sweet Egg Mess or something? In closing, *I will not eat any Ben & Jerry’s products until you pull this awful flavor off of the shelves.